Wow it’s hot! When the mercury is this high in the glass and the humidity makes you feel like you just stepped out of the shower you need so mething to cool off. 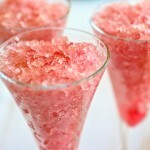 So how about some Sorbets, Sherbet, Granitas and Ices. As a general class these all are frozen fruit puree mixed with something and frozen. If you have an ice cream maker great if not it can still be made just in your freezer. An ice cream maker is easier and will develop a smoother consistency than the freezer method. What is the difference between a Sorbet and Sherbet? A Sorbet is lightened with egg white, and a Sherbet is mixed with either milk, cream or yogurt. 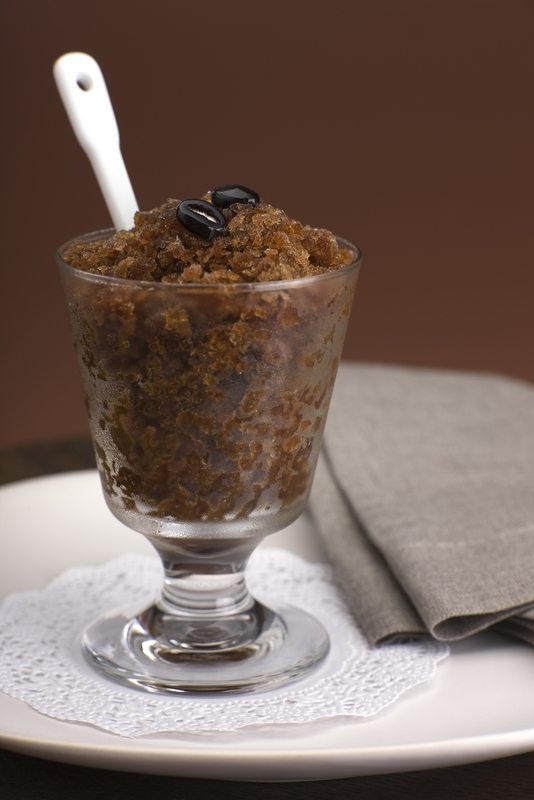 A Granitas has a more granular texture because they are not churned and an Ice is like a Sorbet, but without the egg white which makes it dense and more intensely flavored. Peel and pit the fruit as necessary. Heat the water and sugar mixture till all crystals are disolved. 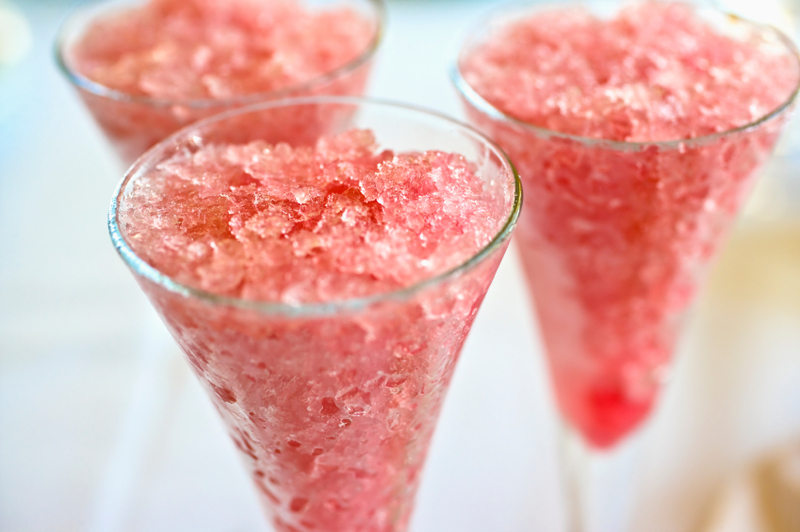 Let simple sugar mixture cool. Blend the fruit and sugar mixture till a fine puree. If using a small seed fruit like blackberry run the mixture through a sieve to removed seeds. Place mixture in the ice cream maker till frozen consistency reached. 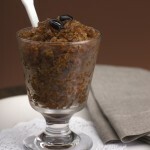 For a Granita pour the mixture into a large shallow container cover and freeze for 2 hours. Break up the forming ice crystals with a fork and continue to freeze for 2 more hours stirring the crystals every 30 minutes. After the final stir freeze at least an hour before serving. (try this will strong coffee vs fruit for an after dinner treat). There is room for lots of creativity here, lemon and spicy pepper diced very fine, watermelon, the zest of limes or lemons, spices like clove or cardamom. Once made the ice can be kept in the freezer in an airtight container for weeks. Stay cool fall is on the way!